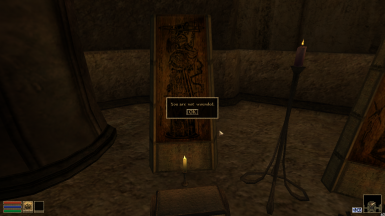 This small mod adds two options to shrines (both Temple and Imperial Cult ones): Restore Health and cancel. The former restores you to full health if you are injured, while the latter is simply a way to exit the shrine blessing menu without having to choose one (and to spend gold on that). The plug-in also includes abot's 0 Shrine Fix. This mod was done at starwarsgal9875's request over at Bethsoft forums. It adds the option for the players to receive healing from both Temple and Imperial Cult shrines. If you currently aren't wounded, the shrine will tell you that and withhold the blessing, but give you back your gold. 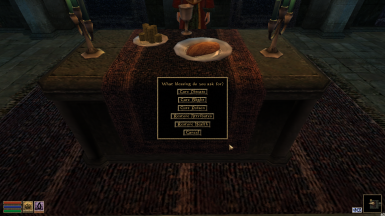 It also adds a way to exit the blessing menu without being forced to choose one and pay for it. The mod includes abot's Shrine 0 Gold Fix and should be used without it. Run only one of these two mods at a time, since they edit the same scripts.